Apple’s iPhone (s AAPL) debuted four years ago, and we sometimes take for granted how much has changed since then. The phone altered the smartphone landscape and ushered in the modern era of intelligent, connected devices. Apple hasn’t cruised easily to the top; in fact, it continues to trail nemesis Google’s Android (s GOOG) in smartphone market share. But it shook up the industry and forced changes and upheaval among many competitors. Here’s a look at some stats on how things have changed over that period, both for Apple and for other companies operating in the same space. 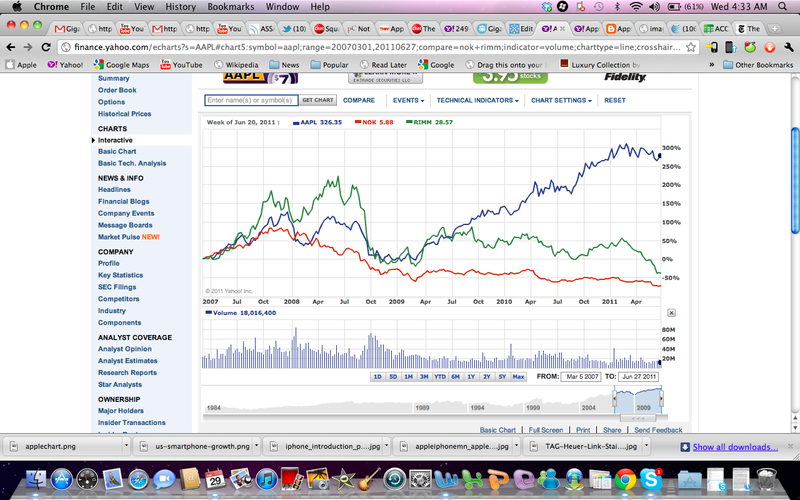 Apple’s stock price at the close of June 29, 2007, the day of the iPhone launch: $122.04 a share. Tuesday: $335.26 with a market cap of $310 billion. Research In Motion’s (s RIMM) stock price on June 29, 2007: $66.66. Tuesday: $28.24 per share with $14.7 billion market cap. Nokia’s (s NOK) stock price on June 29, 2007: $23.63. Tuesday: $6.11 with $22.7 billion market cap. HTC’s stock price on June 27, 2007: 361.01 Taiwan dollars ($12.49 USD), Tuesday: 1040. Second quarter 2007: Symbian 65.6 percent, Windows Mobile 11.5 percent, RIM 8.9 percent, according to Gartner (s it). First quarter 2011: Android 36 percent, Symbian 27.4 percent, iOS 16.8 percent, RIM 12.9 percent. In the first quarter of this year, iPhone revenues hit $12.3 billion, 49.8 percent of Apple’s revenues, ahead of Macs at $4.9 billion and iPod at $1.6 billion. In second quarter 2007, Mac revenue was $2.3 billion, 43 percent of the company’s revenue, while iPods brought in $1.7 billion, or 32 percent of revenue. As of March, Apple said it has sold 108 million iPhones, 60 million iPod touches and 19 million iPads. Google introduces the Android operating system on Oct. 21, 2008. HP (s HPQ) announces acquisition of Palm on April 28, 2010. Nokia announces partnership with Microsoft (s MSFT) to run Windows Phone 7 on upcoming smartphones on Feb. 11, 2011. Motorola spins off Motorola Mobility Holdings (s MMI) on Jan. 4, 2011. In 2006, Verizon Wireless (s vz) had 7.7 million new subscriber additions compared to AT&T’s (s t) 7.1 million. After the iPhone launched, AT&T outpaced Verizon in net subscribers adds for the next three years, according to FCC figures. By 2009, AT&T had 8.1 million new adds while Verizon had 5.9 million. AT&T’s earnings before interest, taxes, debt and amortization went from 34.4 percent in fourth quarter 2006 to 40.7 percent by fourth quarter 2009, outperforming all the other major carriers. 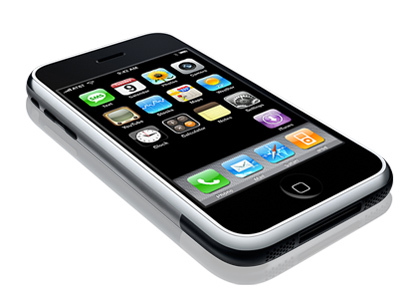 AT&T’s postpaid integrated 3G devices have grown steadily since the launch of the iPhone. It went from 8.5 million in fourth quarter 2008 to 29.7 million by second quarter 2010. Data revenue in 2006 for all carriers was just 7.5 percent of total revenue. By 2009, it was up to 26.8 percent. 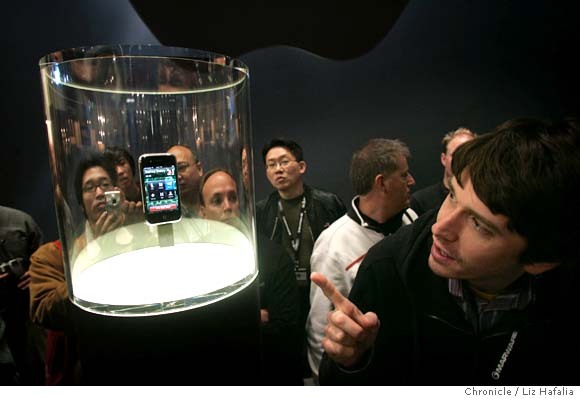 Smartphone adoption in first quarter 2008 was 10 percent according to Nielsen (s nlsn). Nielsen predicts smartphones will outnumber feature phones by the end of this year. Worldwide smartphone sales will hit 468 million this year and reach 1.1 billion by 2015, according to Gartner. Apple has sold about 19.5 million iPad through the first quarter of this year. Gartner estimates there will be 294 million tablets in 2015. Apple’s App Store now boasts 425,000 apps, with 14 billion app downloads and $2.5 billion paid to developers to date. 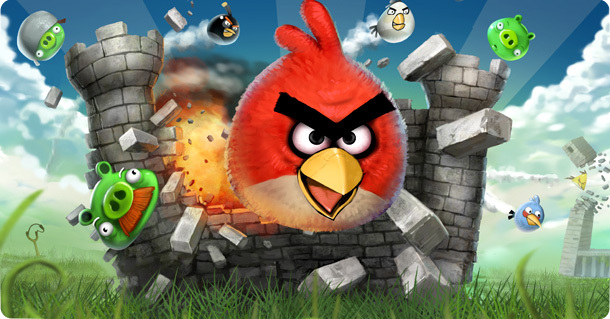 The Android Market has 200,000 apps and has had 4.5 billion downloads as of May. IDC now expects 182.7 billion mobile app downloads by 2015 across all platforms. Canalys estimates mobile app revenue will hit $14.1 billion next year and rise to $36.7 billion by 2015. 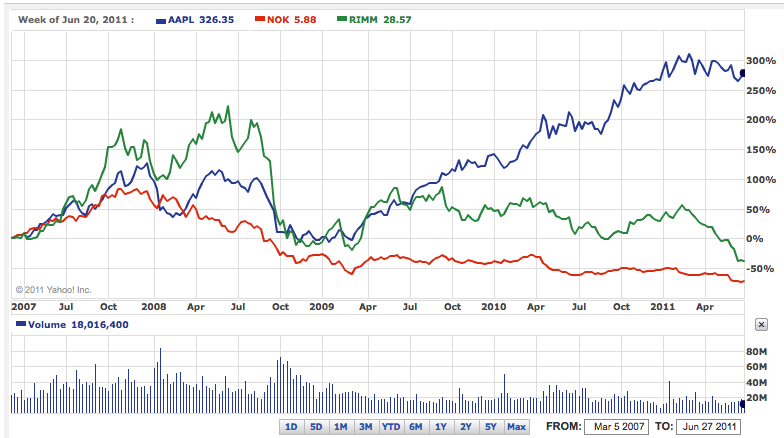 You seem to think that Apple care about market share â€“ they don’t â€“Â they care about PROFIT share. And in that department, they are head and shoulders above all of the competition. Oh, but if you look at it terms of smartphone revenue and profits, Apple did indeed cruise to the top. Revenue and profits matter. Unit sales only matter if it increases revenue and profits. Sometimes, they don’t. This is a key point. Manufacturers of Android phones are not going to be enjoying large profit margins because they can do comparatively little to differentiate their products from one another. In retail, product differentiation is paramount. This is why the Mercury automotive brand is gone. The public realized they were simply Fords underneath and refused to pay more for them. A similar situation at GM led to the demise of Olsmobile and Pontiac. When similar products are sold in different packaging, it most often becomes a race to the bottom. Just like every other business, some Android OEMs will make a killing (Samsung and HTC currently), while the rest of the OEMs will struggle with small margins. Someone will develop a brand or fab capability that’ll command bigger margins. Apple is obviously always interested in being the company that sells a lot of devices with the best margins. But you’re right. Google’s Android model is a rather insidious and fortified one. They commoditize hardware and software and make money through selling advertising space on their services. Ie, they basically take all the margin, profit out of selling hardware and software by making them as cheap as possible so more and more people will buy the product, resulting in more usage of there services and more views of their ads. Apple and Google basically have antithetical business strategies. The best summation of the iPhone effect is from Counternotions website. There might be a few quibbles but he really nails it in a very succinct way. A really good sum up, for what Apple did with the iPhone for everyone. No one’s credibility was tainted because you owned a phone no one has heard of in 2002 w/ a 3.5 inch display. In 2007 there were no successful phones rocking the big screens. Today 3.5″+ screens are the norm (even on not-so-smart phones). The only credibility harmed here is the person who suggests that today’s large screen phones are all thanks to the innovation and success of a your old Thera phone. @worldbfree4me: You mean like you? If you really want large display only device prior art, the device you are looking for is the Apple Newton from the early ’90s. The comment you are responding to is entirely correct, prior to the iPhone those things didn’t exist in non-geek usable form. Ladies and Gentlemen: My point is this; the topic of APPLE vs. GOOGLE is a hot one! Consumers from all over the world are making real bets on one or the other with their wallets so itâ€™s important that the facts bubble up to the top and bias stays at the bottom. This Arthur knows full well that this type of story will gain attention from all, so when you make a comment for one side or the other good or bad, prepare to defend your facts period! Apple will definitely go down in history as an innovator, but lets not rewrite the history books by making them the creator of all things smart phones please, por favor! Palm was closely watched by a lot of companies including Apple and the products that we have and enjoy today reflect their vision. The creator of Android, Mr.Rubin once worked at Apple so Android looks kinda like iOS. I could go on and on, but you get my point. Momâ€™s and Popâ€™s are reading these comments trying to decide what to buy with real money, so save the embellishments and parroting of Apple or Android for your internship interview Capisce! I personally think the impact of the iPhone on computing is in [mobile] sensors and the integration thereof in a seamless SW package. From touch over motion to GPS, maybe speech in the future. The old thinking of a paper replacement system, pen usage as touch interface with GPS bolted on somewhere just won’t be there in the future. Which does not mean there won’t be pen interfaces for writing, just not as the main touch interaction. Just last night I used Google sky to show my son constellations in the sky by just holding the [Android] tablet up and turning around. I personally think the impact of the iPhone on computing is in [mobile] sensors and the integration thereof in a seamless SW package. From touch over motion to GPS, maybe speech in the future. The old thinking of a paper replacement system, pen usage as touch interface with GPS bolted on somewhere just won’t be there in the future. Which does not mean there won’t be pen interfaces for writing, just not as the main touch interaction. Just last night used Google sky to show my son constellations in the sky by just holding the [Android] tablet up and turning around. Although I would never buy one, I have to thank Apple for creating the market. Still, I can’t help but wonder if, instead of adopting Handspring’s Treo design, Palm had gone with their Palm T|X format for a phone, things have been very different. A touch oriented phone with a large, rotatable display a few years before the iPhone would have been nice, especially with Graffiti. Yeah, a lot of companies had an opportunity to get this market going. But give credit to Apple for putting the pieces together. @Hildy perhaps you were born in millenium (2000), because clearly this market already existed prior to 2007. Ever heard of the Palm Pilot or Handspring? True, Apple did help this market get to where it is today. But initally, iPhone began life as an iPod/Phone! Apps came later!! Palm and Windows had an eco system prior iPhone!!! @worldbfree4me that’s like saying cakes are just like pizzas because they’re both baked in an oven…or that bicycles are like cars because they both have wheels. One resonated with consumers and has mass-market appeal (iPhone), the other was geek-centric, confined to a small niche, and not usable by normal humans (Pam/Windows).